Honour our troops with the U.S.M.C. Marine Kukri Machete. Designed to clear through brush, blaze new trails, and hunt game, this deadly blade is a force to be reckoned with. 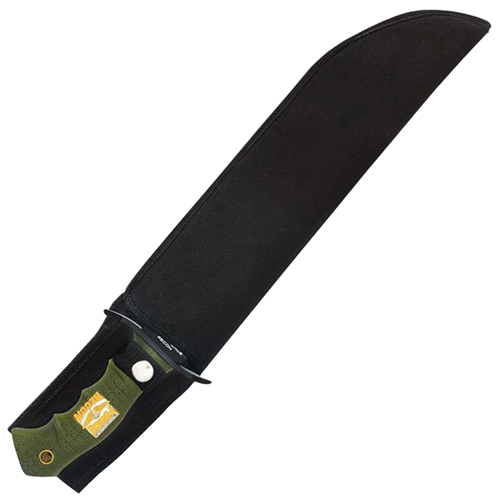 The knife features a large blade with rear spine serrations and the words “Honor. Courage. Commitment” on the blade. 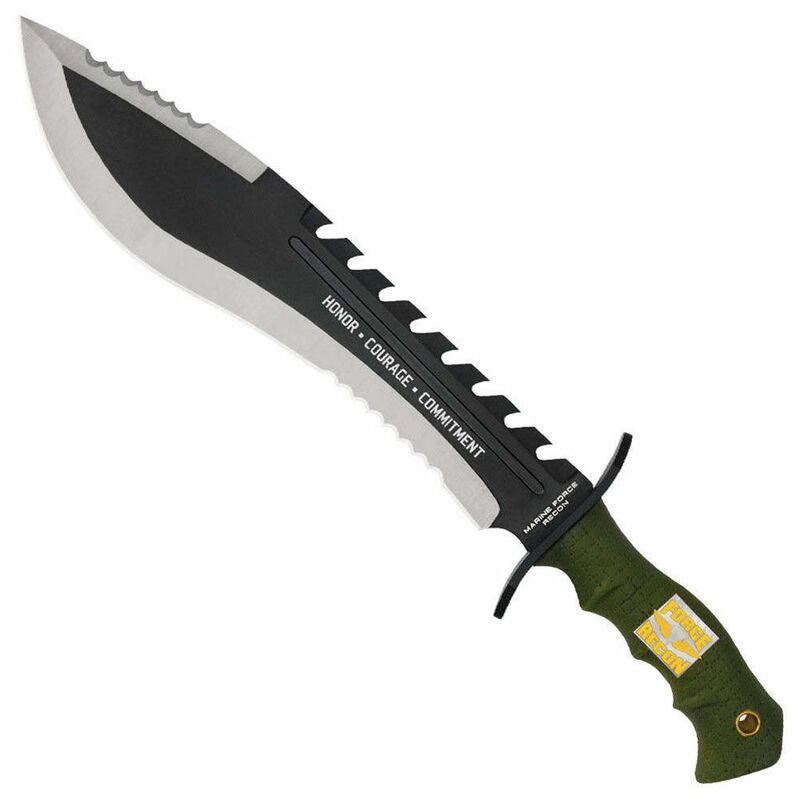 The rubberized handle provides a secure grip and is emblazoned with the Marine Force Recon medallion. A nylon belt sheath is included.